The most abundant mineral in the body, calcium is primarily found in bones and teeth. Men and women may take calcium supplements and still suffer from a loss of bone mineral density. Why? Most people don’t take enough calcium to offset the amount being lost in the course of normal aging. Additionally, many forms of calcium are not well-absorbed. Bone Restore provides three types of easily absorbed calcium — dicalcium malate, calcium fructoborate, and calcium bisglycinate chelate — in capsule form to ensure it breaks down fully in the digestive tract. Loss of bone density is not just associated with calcium deficiency, but also with an insufficient intake of many other nutrients including magnesium and vitamin D3. In order for calcium to help maintain healthy bones, adequate amounts of magnesium, zinc, manganese, vitamin D3, and other nutrients should be available so that calcium and phosphorus can be incorporated into the bone matrix. Post-menopausal women commonly experience loss of bone mineral density, but men can also face this issue as they age. And both men and women may experience significant deficits of magnesium if they don’t supplement. One of the body’s most important minerals, magnesium is needed to maintain strong bones and is critical to promoting a healthy vascular system. 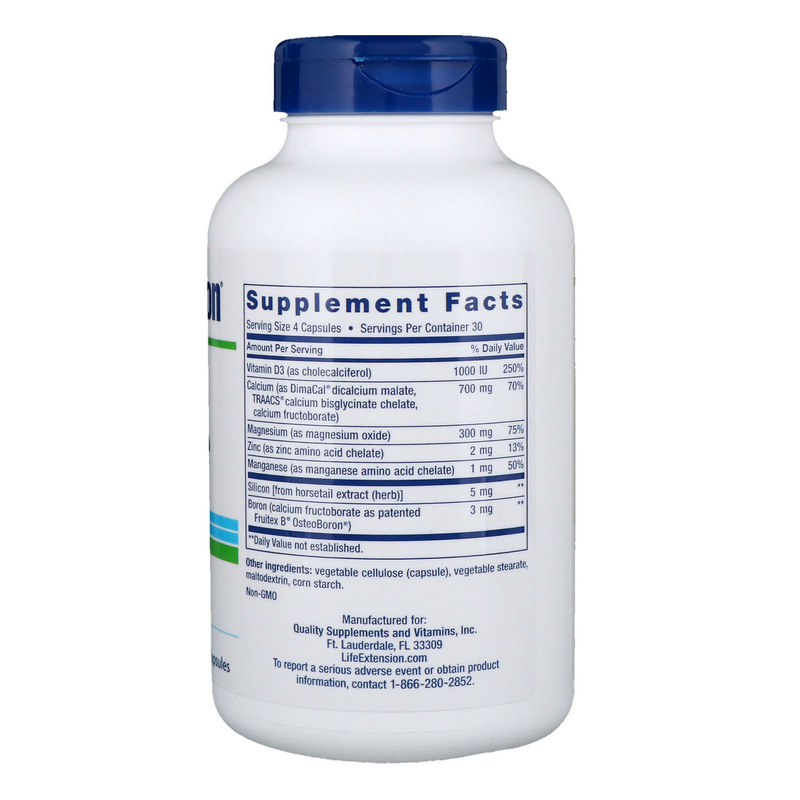 In fact, magnesium is essential for more than 300 different biochemical reactions in the body. 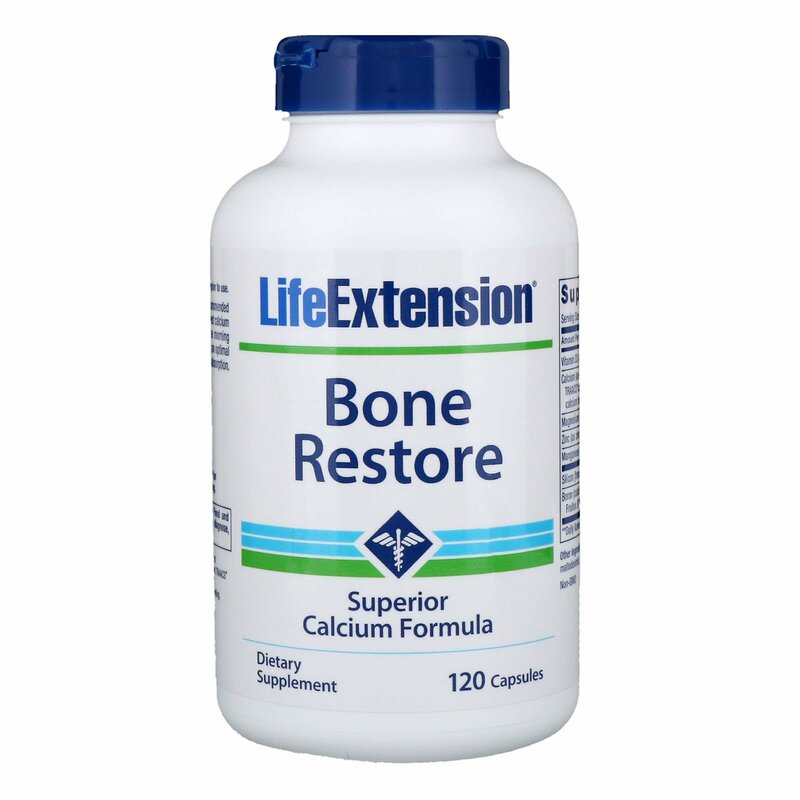 Bone Restore contains 300 mg of magnesium from magnesium oxide. Scientific research has established the beneficial effects of the trace mineral boron on the strength of bones and joints. This formula contains patented FruiteX B OsteoBoron, a powerful form of boron made from a calcium/carbohydrate/boron complex similar to what is found in fruits and vegetables. FruiteX B OsteoBoron is more bioavailable than boron citrate, the nutrient used in most commercial bone building supplements.